Over the last year, Allenton Big Local has been funding weekly sessions for young people, offering them a fantastic opportunity to learn dance and performance skills. They are taught dance techniques by a professional dancer and supported by a youth worker to gain the confidence and self-esteem needed to perform publically at events in the local community. 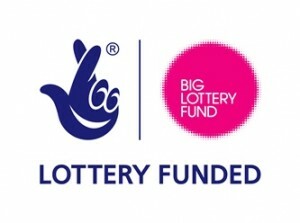 The project is managed by our delivery partner the Enthusiasm Trust. Each week up to 20 young people from the Allenton Big Local area take part in the dance sessions, which are led by professional dancer, Karlie, who is a member of the Trinity Warriors dance academy. Working alongside Karlie is Jess from Enthusiasm. Jess is a youth worker and specialist youth mentor and she provides encouragement, guidance and mentoring to the young people to ensure they get the best out of the sessions. Over the last six months or so, the young people have been engaging with older members of the community to work together on a Heritage Lottery project aimed at celebrating the history of the area. This project culminated in a performance at the Marble Hall on Nightingale Road on 28 January. The young people were tasked with learning, practicing and performing a six minute routine for the event – which was quite a challenge. It would take discipline, commitment and lots of practising from each young dancer in order to deliver a good performance on the day. We’re pleased to report that every single young person who danced at the event delivered a brilliant performance. They should be very proud of their achievement. Enthusiasm worked with a number of different organisations across Derby on the Heritage Lottery project at Marble Hall, including Derby City Council, Derby Homes, Culture Train and Guidemark Publishing to produce a music track from scratch, a video, and a heritage booklet. 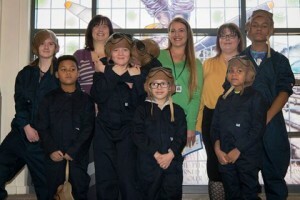 For their dance performance, the young people dressed as pilots to fit in with the image on the Memorial Window at Marble Hall. Together they overcame their performance anxiety and any confidence issues and were excited to perform their fantastic dance routine in front of an audience made up of local residents, community organisations, businesses, Councillors, funders and family members. The young people are continuing to build their confidence and learn new dance moves and techniques at each session and, whilst there are no more street performances planned at the moment, the young people are enjoying the variety of skills they are learning and already considering potential new opportunities for public performances in the future. You can read the full report submitted by Enthusiasm here on our website.